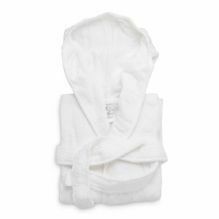 Super snuggly children's sized hotel bathrobes made from 100% cotton terry towelling with hood for extra cosiness! Available in ages 1 - 12. Bathrobes can be personalised with your hotel logo. Please contact us for further details.